Marine Corps 3-star to replace Petraeus in Afghanistan? You are at:Home»Afghanistan»Marine Corps 3-star to replace Petraeus in Afghanistan? 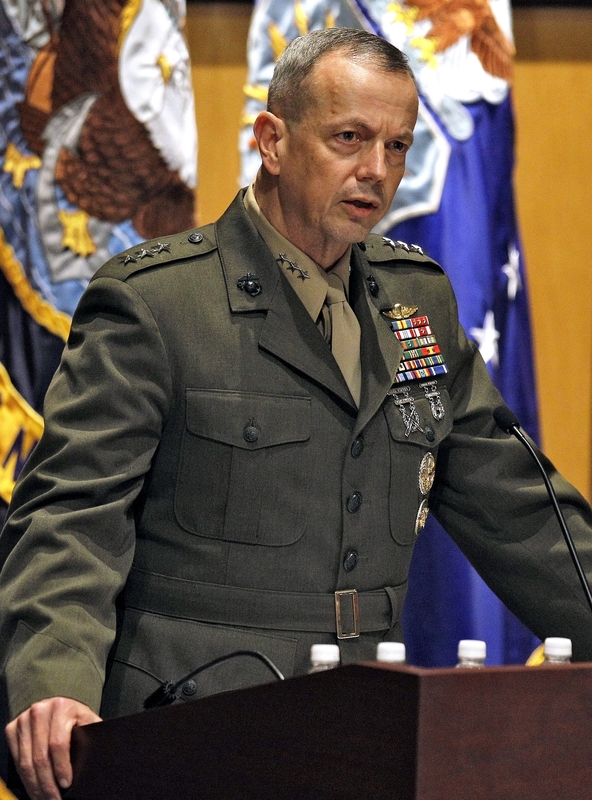 Speculation and street talk are part of what goes on “inside the Beltway” in Washington, and today’s rumor has it that Lt. Gen. John R. Allen will take over as commander in Afghanistan whenever Army Gen. David H. Petraeus, who has been in charge there since last summer, relinquishes command. If it became a reality, Allen would be the first Marine Corps general at the helm of U.S. operations in Afghanistan since operations began there in October 2001. Allen has a close working relationship with Petraeus. They licked the insurgency together in Iraq between 2006 and 2008 when the Army four-star was commander of Multi-National Force-Iraq and Allen was deputy commanding general of II Marine Expeditionary Force and commander of 2nd Marine Expeditionary Brigade in Anbar province. They continued working together right after that, this time as a team at the head of U.S. Central Command when Petraeus was commander and where Allen has been deputy commander since July 2008. When Petraeus was tapped to replace Army Gen. Stanley McChrystal as commander of International Security Assistance Force and commander of U.S. Forces-Afghanistan in June 2010, Allen became interim commander of CENTCOM and is now working under its new commander, Gen. James N. Mattis. Allen is a 1976 graduate of the U.S. Naval Academy in Annapolis, Md., and was thought to be on the short list of those being considered for commandant of the Marine Corps at the end of 2010.